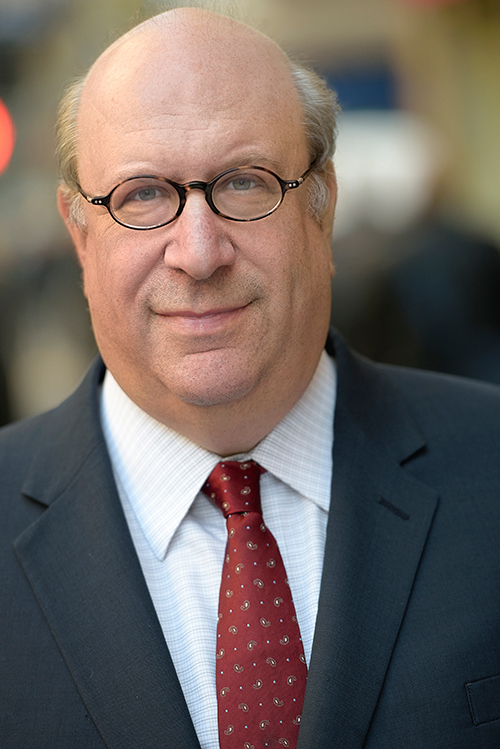 Ira Brad Matetsky is a partner in the Litigation Practice Group as well as in the Cooperative and Condominium Housing Practice Group. His more than 30 years of practice include extensive experience in representing private and public companies, other entities, and individuals in complex disputes including commercial, contract, securities, employment, and real estate related matters. Mr. Matetsky handles litigation in federal and state courts, at the trial and appellate levels, as well as arbitration and mediation proceedings. He also has substantial experience in the litigation and coordination of multi-jurisdictional litigation, both domestic and international. Prior to joining the firm in 2004, Mr. Matetsky spent twelve years as a litigation attorney at Skadden, Arps, Slate, Meagher & Flom LLP followed by five years as Deputy General Counsel and then Co-General Counsel of Goya Foods, Inc., the international food and beverage company. Mr. Matetsky has written a number of published articles on various legal topics and has edited legal publications. He is editor-in-chief of The Journal of In Chambers Practice, the successor to in Chambers Opinions by the Justices of the Supreme Court of the United States, and has co-edited several issues of The Green Bag Almanac and Reader. He is a Master and active member of the New York American Inn of Court. He is recognized as a “New York Super Lawyer” and is a past recipient of the President’s Pro Bono Service Award of the New York State Bar Association. Mr. Matetsky has also been the primary author since 2005 of the monthly Client Advisory newsletter, keeping clients of the firm up to date on selected developments in New York cooperative, condominium, and real estate law. He also served as editor of the firm’s monthly Client Employment Law Advisory and periodic Client Corporate Law Advisory. Coordinated litigation, as lead counsel, in jurisdictions including the United States, Israel and Curaçao (former Netherlands Antilles) for a group of minority share-holders in an Israeli-headquartered earth-observation satellite company. Represented an iconic comic-book writer and editor in intellectual property matters in New York and California. Represented a New York City condominium in litigation against a commercial unit owner as to a common charge dispute. Represented a brokerage firm in defeating a claim by a former broker over calculation of employment compensation. Represented a privately held corporation in defense of industry-wide, multi-district products-liability claims. Represented independent directors of a public corporation against class-action shareholder claims. Represented an international food and beverage company in multi-jurisdictional contract, corporate, and inheritance litigation (including proceedings in federal and state courts in New York, New Jersey, and Puerto Rico), resulting in dismissal of all claims and recovery of more than $6 million in attorneys’ fees and litigation expenses. Member, American Bar Association (Litigation Section); Federal Bar Council. New York State Bar Association (Commercial and Federal Litigation Section). New York City Bar Association. New York County Lawyers Association. Master and member, New York American Inn of Court and co-chair of the Historical Trial Committee. Recipient, President’s Pro Bono Service Award, New York State Bar Association. Member, Board of Education, Baldwin Union Free School District (1983-1989); Vice President, 1983-1989. Co-Editor, The Green Bag Almanac and Reader 2012, 2015, 2016; Member of the Board of Advisors since 2008. Editor, The Journal of In Chambers Practice, formerly In Chambers Opinions by the Members of the Supreme Court of the United States, 2005-present.